Principal Cast : Nicole Kidman, Ewan McGregor, Jim Broadbent, Richard Roxburgh, John Leguizamo, Jacek Koman, Caroline O’Connor, Garry McDonald, Keith Robinson, Natalie Mendoza, David Wenham, Peter Whitford. Synopsis: In Bohemian Paris, a young writer arrives at the famed bordello, the Moulin Rouge, to write a new musical for the leading lady, Satine, which whom he falls in love. What we think : Astonishingly mounted and produced musical film is mind-blowing in almost every area. A blistering soundtrack and musical score accompanies overly melodramatic plotting and angst-ridden performances from all involved, a theatrical production brought to the screen with thunderous potency and evocative, memorable visuals. 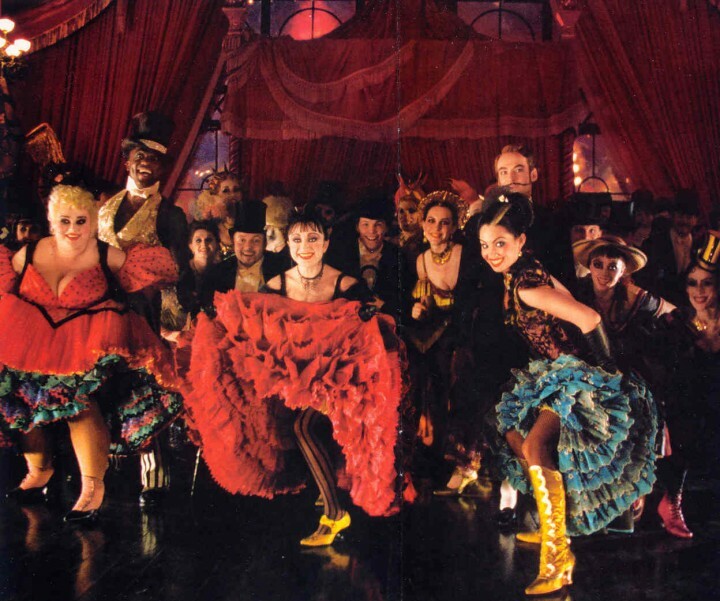 Not for the faint of heart, and definitely for those who love theatricality over realism, Moulin Rouge! is one of my all-time favorite films ever. So expect the score to be high. A defining Australian success story, Moulin Rouge! marked the third feature film from acclaimed local stage director Bazz Luhrmann, after Strictly Ballroom and Romeo + Juliet. In an era where the film musical no longer existed outside of the Disney studios, Moulin Rouge! not only resurrected the genre, it defined it for an entire generation. No longer restricted by stagey, technologically limited film-making such as that which existed during the musical’s heyday in the 50’s and 60’s, all of Luhrmann’s considerably on-point visual themes and cinematic tricks came to play on what would become the most talked about film of 2001. 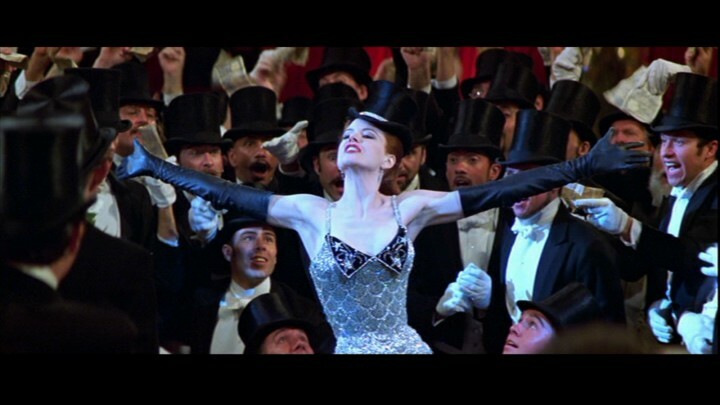 Garnering both acclaim and a degree of criticism, particularly for its editing (more on this later), Moulin Rouge! famously saw Bazz miss out on a Best Director nomination at that year’s Oscars, whilst the film would be nommed for Best Picture, and would go on to win for Best Costume Design and Best Production Design (a bittersweet moment, Bazz’s wife, Catherine Martin, scored gongs in both categories!). Whether it’s a good film, or a great film, remains a debatable argument we could ramble about for days, but as a film experience there’s no denying Moulin Rouge! is one of a kind. Plot synopsis courtesy Wikipedia: In the year 1900, a depressed British writer named Christian (Ewan McGregor) begins writing on his typewriter. One year earlier, Christian moved to the Montmartre district of Paris to become a writer among members of the area’s Bohemian movement. 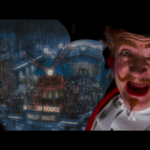 He encounters performers led by Toulouse-Lautrec (John Leguizamo); his writing skills allow them to finish their proposed show, “Spectacular Spectacular”, that they wish to sell to Harold Zidler (Jim Broadbent), owner of the Moulin Rouge. The group arrives at the Moulin Rouge as Zidler and his “Diamond Dog Dancers” perform for the audience. Toulouse arranges for Christian to see Satine (Nicole Kidman), the star courtesan, in her private quarters to present the work, unaware that Zidler is promising Satine to the wealthy and unscrupulous Duke of Monroth (Richard Roxburgh), a potential investor in the cabaret. Satine mistakes Christian for the Duke, and dances with him before retiring to her private chamber with him to discuss things privately, but soon learns he is just a writer; by this time Christian has fallen in love with her. As Christian writes the musical for the refurbished Moulin Rouge, the Duke discovers the boy’s feelings for Satine and, beset with a jealous rage, decides to strike a bargain that will bind Satine to him instead. In the interests of full disclosure, I have already given Moulin Rouge! a beating with the review stick of doom, in my older take with another Bazz Luhrmann film, Australia. You can read that review here. You can also find my review of the BluRay edition here. The below review is based on the HD BluRay version. Minor editing changes, as well as color correction and digital enhancement was made between the original DVD release and the Blu release, overseen by Bazz himself. If 1995 was the year that sparked my virginal love of film, then 2001 was the year that cemented it forever. Films such as the 1st Harry Potter movie, the first Lord of The Rings movie, Shrek, Monsters Inc and The Mummy Returns are in the top 10 box office champs for that year, and if you’d said at the start of that year you’d be witnessing the beginning of movie history, there’s a fair bet nobody would have taken that money. 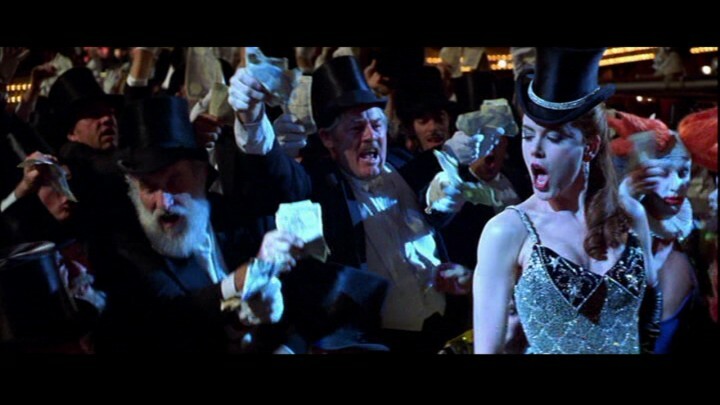 Moulin Rouge!, rather criminally, didn’t make the top 10 box office earners for 2001, but of all the films I saw that year, it was Lurhmann’s visionary extravaganza that made me adore the film medium. It was my Star Wars moment, if you will – many folks alive and able to see Star Wars in cinemas when it first came out will attest to how pivotal that movie was in their geek lives; the same applies to me and Moulin Rouge! Not only did it reaffirm my already growing love of movies, but it hit a nerve within me that at the time I struggled to identify with any surety. I saw it twice more in cinema, and countless times on DVD release later that year, and in the years since. Luhrmann’s film is (very) loosely based on Alexandre Dumas’ novel “The Lady Of The Camellias,” which itself was adopted by Verdi into “La Traviata”; the characters and scenario are operatic indeed, with each one being granted broad brushstrokes of characterization. 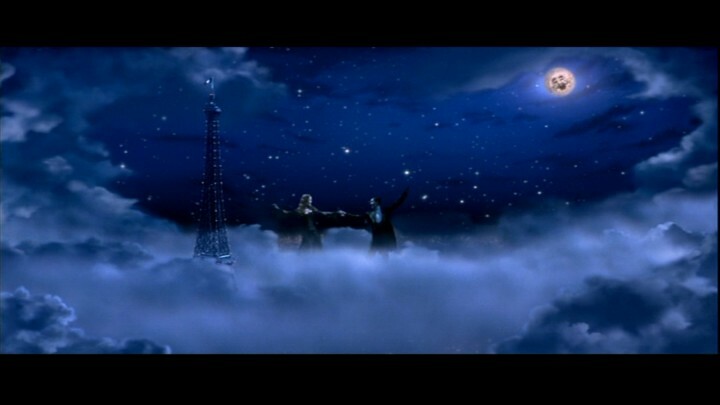 Rather then develop the film along a naturalistic line, Luhrmann brought his stage-show showmanship to the fore, setting the film in a hyper-fantastical allegory of France at the turn of the 20th Century. Coupled with a pounding modern-day soundtrack (one of my all-time favorite scores, as well) and a thunderously vivid visual style, Moulin Rouge! is less about the characters and more about the themes espoused by those characters: freedom, truth and love, above all. The riot of color, music and imagery depicting turn of the century Paris, particularly the bohemian Montmartre district (where fans can actually visit the real life Moulin Rouge!) 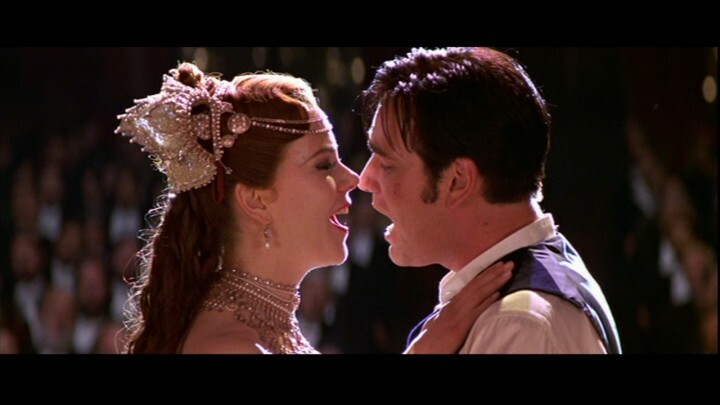 and the gorgeous chemistry between stars Nicole Kidman and Ewan McGregor, make Moulin Rouge! an experience, a theme-park ride inside a musical video inside a portal to another world. I think where Moulin Rouge! hits its mark is in the blush of true love. For anyone who’s ever been in love with such ferocity, the feelings can often overwhelm and drive crazy. The unrequited love, in particular, is often hard to deal with for many, and perhaps at the time (I forget now, being nearly 15 years since) I was coping with such an emotional demand that this film crystallized the power of love inside me. Moulin Rouge! is unabashedly romantic, a tragic romance however, in keeping with Luhrmann’s previous feature in Romeo + Juliet – he touches on similar ground here, dealing with classism and social chasms that threaten to drive our “star crossed” lovers apart. It’s an aspect of humanity that Luhrmann obviously has an affinity for, for similar themes can be found in both Australia and The Great Gatsby, although with variably differing degrees. It’s this overt romanticism that will either lose you, or win you, as a viewer. 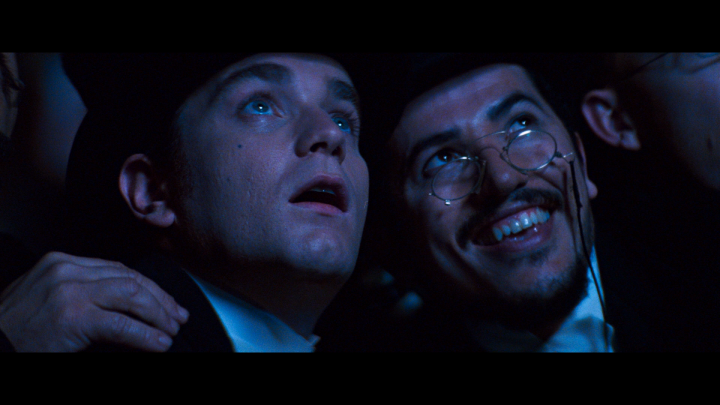 If you’re not drawn into Luhrmann’s world within the first few minutes, as the camera swoops into Paris and introduces us to McGregor’s Christian, and belts out that first refrain from “The Sound of Music”, then you’re lost, and Moulin Rouge! isn’t for you. It’s a film that demands a suspension of disbelief, a total buy-in to this fantastical, insane, silly, ribald world of debauchery and decadence, layered with the lyrics of Madonna, Lady Marmalade, Queen, The Beatles, Elton John, and even David Bowie, among (many) others. A soupcon of Bollywood, Francophile and topper-English drizzled over Luhrmann’s uber-melodrama and emotionally dizzying plotting make Moulin Rouge! a standout in the history of musical film. Production value aside, the film’s crucial element is in its casting. I remember being a little worried about McGregor’s casting against Nicole Kidman’s, because I thought (stupidly) that McGregor couldn’t hold a candle to Kidman’s screen presence – I was wrong, and happily – and felt their pairing to be inadequate for such emotionally entangled lovers. Both Kidman and McGregor absolutely nail the parts, Kidman in particular giving Satine a veneer of coquettish insouciance that cracks once Christian rocks her world after their first major encounter, inside a giant elephantine chamber within the Moulin Rouge’s front courtyard. McGregor is equal to the emotional hand-wringing that ensues, as their relationship is twisted, flexed and convulsed with overdeveloped dramatic demands that Luhrmann delights in. Jim Broadbent is hilariously false as Sidler, a man who would probably sell his own mother as long as he could make money from it; Broadbent plays it all with a wink in the eye, a wry smile plastered across his moustachioed face as he sifts customers money from them in the name of art and fun. Richard Roxburgh is still the only one of the cast I don’t think was as believable. I mean within the context of the film, The Duke is perhaps the most indefinably grotesque; one minute he’s a simpering fool, the next he’s demanding the deeds to the Moulin Rouge, and then a few moments later he’s a brutal, jealous, fitfully violent man hell bent on murder. Roxburgh does a good job with him, but the Duke isn’t as believable within the film’s tone as, say Satine or Christian. Aussie talent litters this film; Catherine O’Connell plays the mean-spirited Nina with delicious irony, and delivers a tango performance with Jacek Koman and a troupe of Rouge dancers that’s as classic as any from the films of the 60’s. Garry McDonald cameos as one of Tolouse’s aides, while John Leguizamo simpers as the man himself; Tolouse was always an enigma to me, both as a fictional portrayal here, and as a real man – one thing I never got in all my earlier viewings was how he cried with sorrow after he saw Christian and Satine fall in love with each other, but I’ve now come to the conclusion that perhaps he was sad because he himself had a love for Satine that was unrequited! Which only adds to the power of the moment, if you ask me. Aussie songstress Kylie Minogue cameos a fun part as The Green Fairy, which is a reputed vision the bohemian crowd had after drinking Absinthe (I’ve never tried it, personally), while fellow musical alum Natalie Mendoza and Christine Anu pop up as members of the Diamond Dogs. A blink-an-miss-it appearance by David Wenham is closed out by a tantrum early in the film, and even the great Placido Domingo proves both face and voice of the Moon (yeah, this film is that bizarre!) – Moulin Rouge! covers so many musical genres, from rock, pop, Seattle grunge (Nirvana’s “Smells Like Teen Spirit” has a run), opera and anthemic rock (Queen’s “The Show Must Go On” is performed with thunderous ovation by Jim Broadbent and Nicole Kidman at a pivotal moment in the movie), it’s little wonder the soundtrack is so coveted as a classic. The most divisive thing for critics (that I recall) was the pace at which this film is edited. After seeing Moulin Rouge’s breakneck editing style, I became a huge fan of Jill Bilock, whose work here I felt propelled the film into the cult status it deserves. I saw a statistic once on the number of edits per minute for Moulin Rouge!, which was staggering in itself (if I find that stat, I’ll link to it, but it’s somewhere in the region of 100-120 cuts-per-minute), but the criticism levels at Bilcock’s work here is, to my mind, unfair. The whole point of the rapidity of editing, particularly during the film’s staggering opening dance-hall sequences and introductory moments, is designed to grab the audience and test their endurance (and suspension of disbelief). Moulin Rouge! is delivered with sledgehammer subtlety by a blitzkrieg of edits, cuts and sweeping camera moves, a grab-bag of interspersed visual “moments’ designed not so much to tell a story, but to evoke a mood, provide a foundation for the audience to enter the world of the film. Not mentioning the stylized opening studio logos, hyped through a proscenium arch, which would give an indication as to where the film was headed, but Bilcock’s dizzying, giddy work in the editing bay remains some of the most captivating storytelling work I’ve ever seen. Ever. So for those who think it’s all a hyperbolic shambles of incomprehensible imagery with nothing to say except “sound and fury”, you’re kinda missing the point. 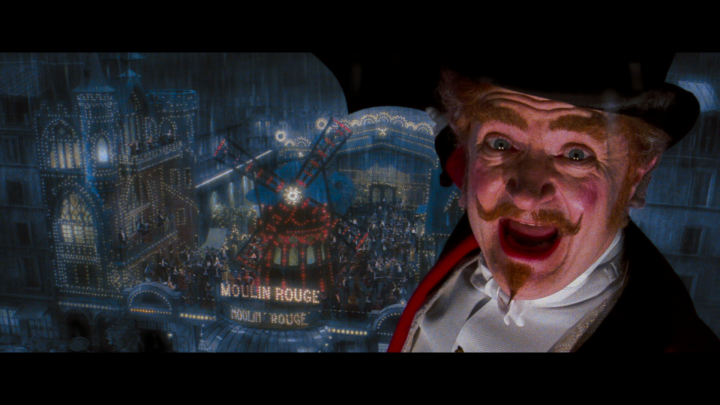 Another of the most amazing aspects of the film, and a factor captured in brilliant high definition of the BluRay version, is that Moulin Rouge! is one of the most visually sumptuous, nay, luxurious films you’re likely to witness. Every frame of this film is filled with imagery, filled with textures and layers of detail unlike any I’d seen to that point. Reminding me of the more recent work of Tarsem Sing’s prowess with color and framing, Luhrmann’s camera is plugged into the very DNA of the universe, a plump, detailed, heavily fabricated world populated with fantastical skylines, the stretching of time and space, and the sheer visual extravagance that modern film-making can provide. Scenes inside the elephant (if that doesn’t make sense, watch the film) are a riot of production design and a proverbial dog’s breakfast of color, fabric and luxury, while the largely CG Parisian cityscapes are nigh monotone save the Montmartre area, a stylish representation of the creative hot-pot the suburb of the city was back in the day. All of this is accompanied by, or perhaps I should say built upon, Craig Armstrong’s devastatingly awesome musical soundtrack. A mix of styles so eclectic it makes hipsters goggle in amazement, Armstrong’s score, flushed with the most popular love songs of the modern era in remix after remix, dazzles and dances with utter delight as it strums behind the story; I think the film’s momentum is drawn from the non-stop musical accompaniment – nary a moment of this film isn’t filled with music of some kind, from the thumping bass beats of the Moulin Rouge’s dance opener, to the rock-opera closing number in which Satine and Christian finally bare their souls to each other, and the carillon Bolero over the closing credits. Moulin Rouge! is a musical tour de force, a designer drug of populist warbling and iconic melodies intertwined with Armstrong’s orchestrations, all of which elicit emotional responses that enhance the character’s subplots in ways I’ve yet to see since – or before. Yeah, it’s fair to say I adore this film. As I said, it’s my Star Wars moment in a cinema – totally enraptured with the story, the music and the visuals, in a way I hadn’t to that point experienced. 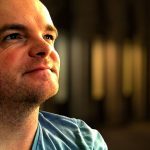 It made me want to make my own films (a pursuit I continued until about 2010), it made me really take stock of how films were made to elicit emotions from a viewer, and it utterly transfixed me. It was such a momentous film for me at a personal level, it would never be matched, not even by Luhrmann himself: Australia and The Great Gatsby were good films in their own right, but I wanted another Moulin Rouge! experience. And it never came. Moulin Rouge! isn’t a film for everyone, you should know that if you haven’t seen it. It’s a film that’s highly stylized, hugely divisive in terms of production and expectation, but as an experience, as a ride you can take, it’s hard to top. YES! Great review Rodney and I so agree w/ you that this is a cinematic experience unlike any other. It's surreal, funny, romantic, and the musical numbers are imaginative and inventive. It's one of my all time faves and I happen to enjoy the overt romanticism as it's so darn entertaining as well as heart-wrenching. I didn't care for Australia and Gatsby was a bit disappointing, but I think this is Baz's best work, closely followed by Romeo + Juliet. Ha ha, yeah, Gatsby and Australia weren't really at the same level, were they. I just love this film to bits, I could talk about it endlessly (you shoulda seen the paragraphs of waffle I removed from this review!) and often have. It's just so damn romantic, so energetic and filled with wonderful music I can't help but love it. I am moving on from unrequited love and have been reading articles online about it. Just recently, I have read which presented the movie THE GREAT GATSBY. Now, 2 are added in the list – Moulin rouge and Australia. I love Nicole Kidman! I'll probably download Moulin Rouge and Australia. I haven't watched The great gatsby. I was still in high school when Moulin Rouge was out and I wasn't really paying attention. Now that I am going through this damn one sided love, I'd definitely want to give it a shot and watch these movies.